Countdown to MIPPA: Unintended consequences?  - ONRAD, Inc.
19 Jul Countdown to MIPPA: Unintended consequences? than a few facilities are scrambling to get in under the wire.Even worse,there’s a growing sense that MIPPA’s implementation in January 2012 could have an unintended negative impact on facilities’ ability to provide imaging services — despite its noble goal of curbing overutilization among providers of low-quality scans. Some industry watchers even believe it could lead to further increases in the cost of imaging and less access as some nonhospital-based imaging providers simply close shop. 2012 to receive Medicare reimbursement for the technical component of scans. Physicians Imaging Solutions, which works with physician groups and clinics. facility still accredited? The answer is no, Palmisano said. operate without being reimbursed until they are accredited. What’s more, the accreditation process is widely seen as time-consuming. effect may be too efficient, Davis said.